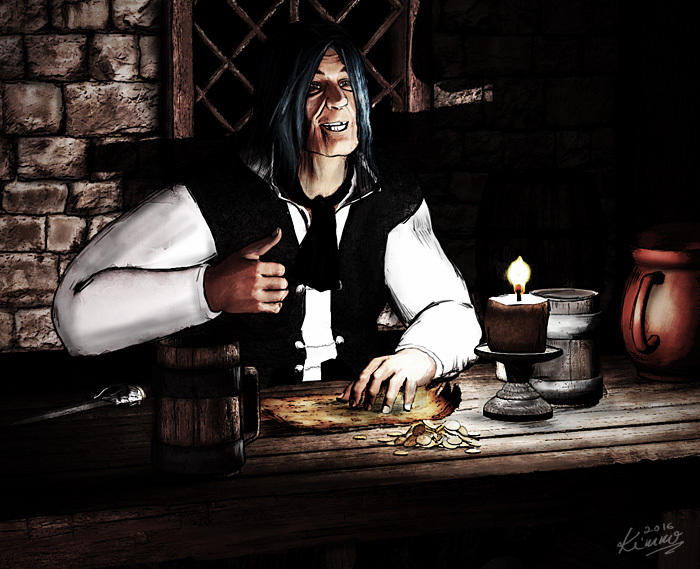 Isant Gassta runs a cartography shop in the small village of Tyrros. His shop – Gassta’s Map Emporeum – is the one to go to if you ever need to know where to find the precious oases of the Kiloui Desert. And if you have any sense at all … that information is way beyond more precious than gold. Isant is a former Master Cartographer of the famous Calishem Guild of Cartographers and one of the foremost cartographers in Groam and Caheb.